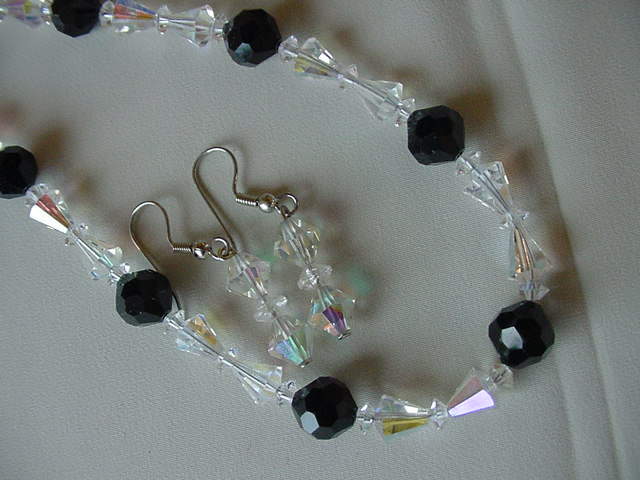 Here are vintage or new (as marked) necklaces that Glenn has taken apart and re-designed. Gorgeous stuff! 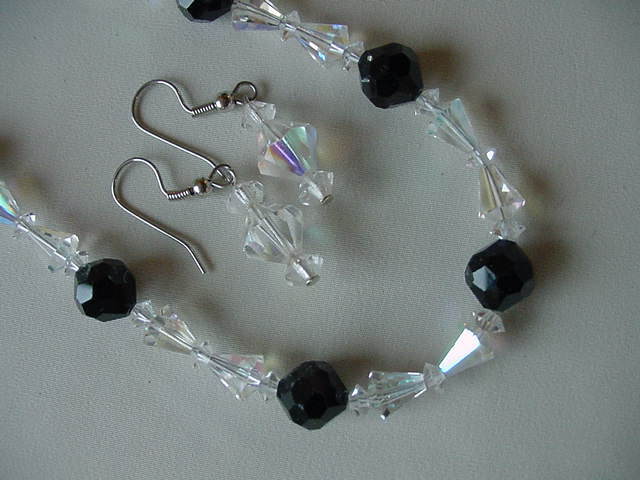 Where earrings are included, French wires are hypoallergenic. TIBETAN CORAL? Not on your life! This new coral has hit the market, best known is the red color but also in orange and other colors. This "organic gemstone" is RED HOT on the fashion market and will become heirloom pieces for generations to those who purchase it, even more than turquoise. Some dealers tout it as "fossil coral from Tibet", a landlocked country. What's the scoop? Warning! Some unscrupulous dealers are selling dyed calcite marble as genuine red coral. 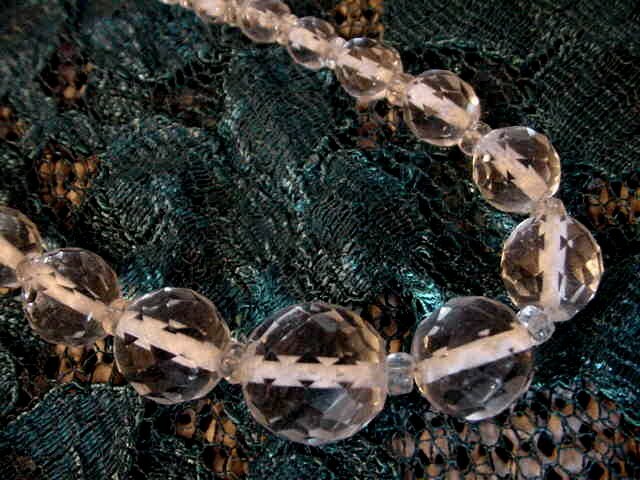 There is no pattern visible in these marble beads. 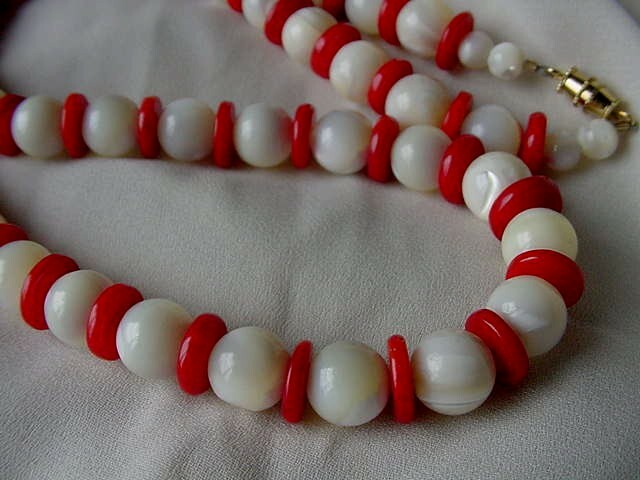 Below is a photo of a few of our genuine coral beads with a faint star pattern that proves it's real coral. Look for this if you're purchasing coral jewelry to determine its authenticity, along with the small black erosions and irregularities here and there you will find only on organic coral. (Melithaea ochracea), this sponge coral is a gem coral - hard, lives underwater, naturally organically produces tree-like structures, usually found attached to sea floors. These underwater trees are the byproducts of small, cylindrical, tube-like colonizing sea creaturs called polyps. The holes in the sponge coral are the homes of these individual polyps. Unlike most other gem corals, the sponge coral polyp homes rarely grow shut, and these open vacant homes are what have given the sponge coral its name. Found mainly in the South China Sea, form Taiwan down to Indonesia, the sponge coral has a distinct fan-shaped appearance underwater. Many ornamental sponge corals have been used for decorative purposes in aquariums, being made into jewelry only in recent years. 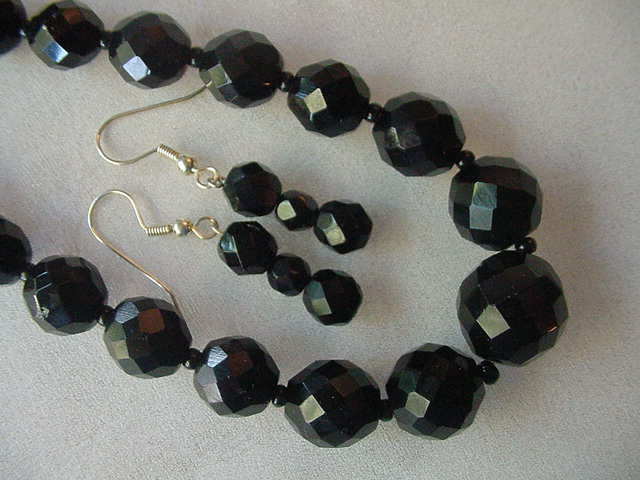 #V-50-3 Peru opal beads (14 and 10 mm sizes) and round amethyst beads (8 and 6 mm)17” long, with gold safety closure. #V55-1 Multi-color agate beads, 10 mm. 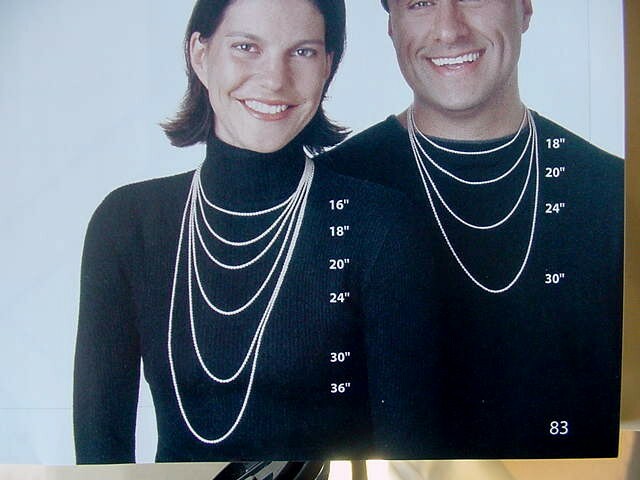 Necklace length chart - if you're not sure what length to get, analyze this picture to get an idea.